Asia’s most awaited annual Triathlon festival is back with exciting races and activities for both the competitive and the first timers. Be part of these three very exciting days of sport, fun and entertainment on the beautiful island of Bintan, only 50 minutes by ferry from Singapore or a short direct flight from Jakarta. Staged on the beautiful coast of the South China Sea, the annual Bintan Triathlon , in its 12th year running, is established as one of the most popular triathlon events in Southeast Asia. It offers the right offers the right company a unique opportunity to tie its name and brand to one of Asia’s Premier Multisport Events, while reaching an audience of 1,500 participants, hundreds of spectators and millions more through local, national and international media. Bintan Triathlon is well-known for its clear and calm waters and exceptional bike course, attracting seasoned athletes in the region looking for a fine challenge. It is also the perfect destination for newbies wanting to achieve their first triathlon. Sports and beach holiday combined makes for a fun-packed weekend in the island. 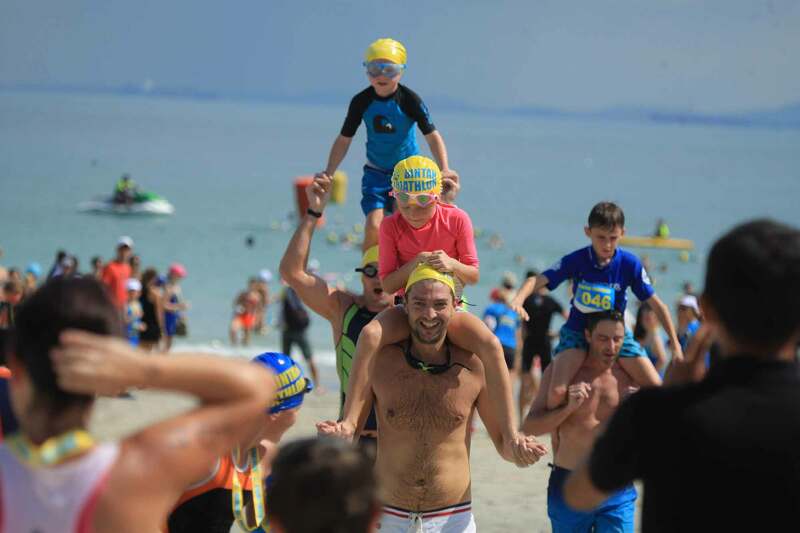 There is the Fun Duo challenge for kids and aduts, yoga classes, the open water swim, massages, Kids Club, post-race party and more!